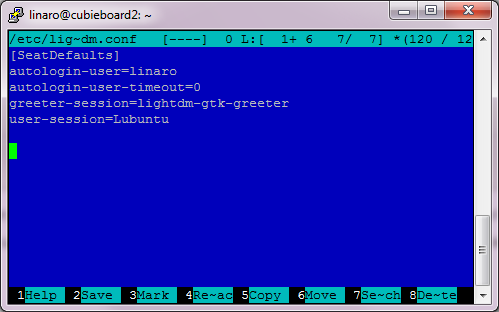 I use vnc to access graphic interface from my PC to cubieboard that runs on lubuntu. I have chosen tightvncserver and spent some time to configure and run it. Also to my surprise it took me a while to set it up correctly. This guide was the most helpful how-to but I needed to make some changes so I’ve written this post. 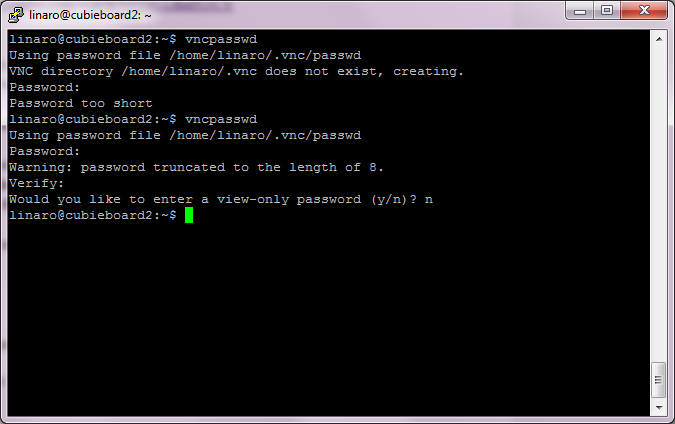 Run the command vncpasswd to define a vncpasswd as depicted bellow. 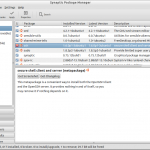 Type tightvncserver and config files are created. Type tightvncserver -kill :1 to kill that running session. 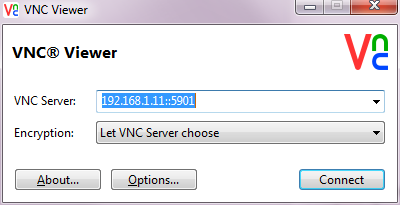 Start vnc again with tightvncserver :1 and get the TCP port from the log file. Whereas most VNC servers share your desktop, tightvnc creates a completely new desktop, not attached to any actual screen. This makes it much less useful for some things (like remote help), but much more useful for others (like creating a public area for collaboration). 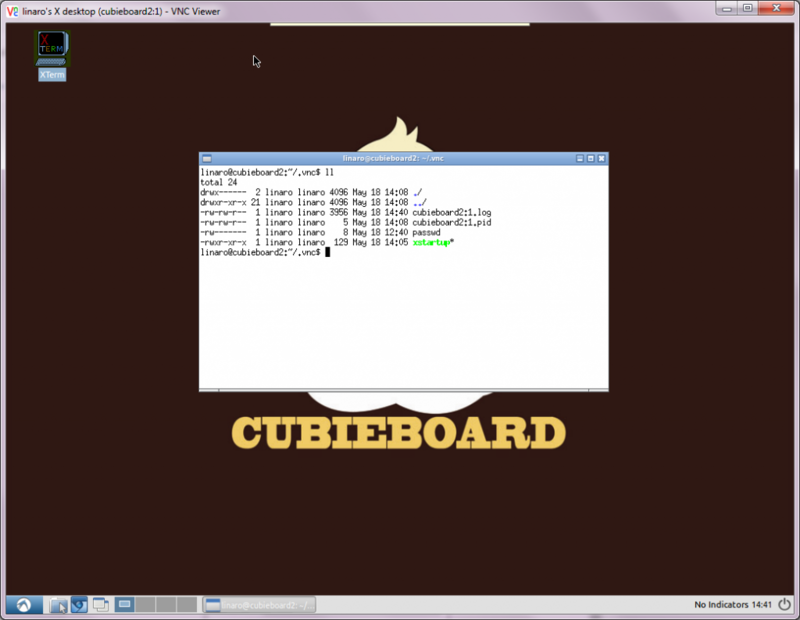 If you decide for x11vnc you can try another guide, that I found after I spent the time with tightvncserver described in this post. There are many types of vnc server 🙄 that you can check. 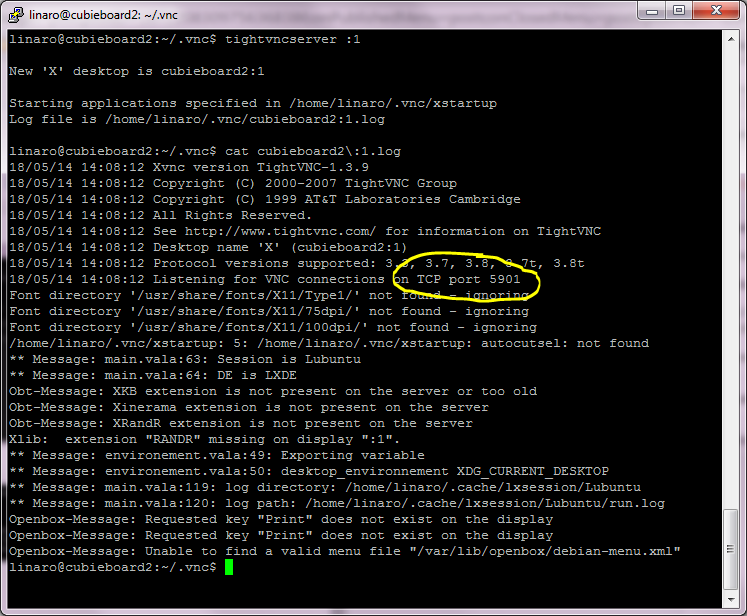 CHECK if the file ~/.cache/lxsession/Lubuntu/run.log is not increasing in size. My file was increasing ~100MB a day.